You want small? 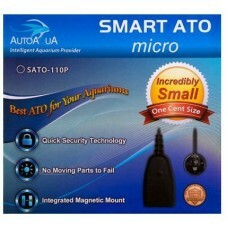 Well this is the smallest ATO on the market. 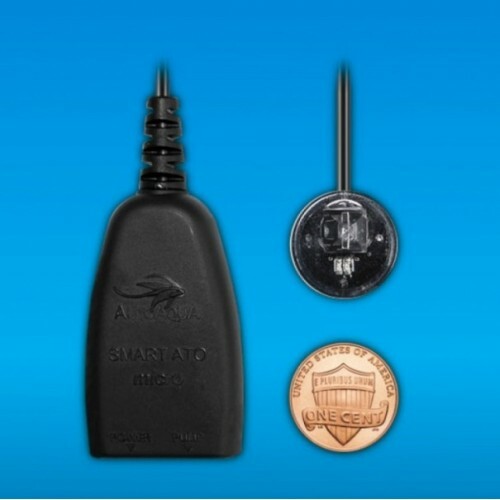 The Smart ATO Micro Top Off system incorporates a reliable optical water level sensor system that keeps an exact level within the sump with no moving parts. Now you can effortlessly maintain proper water levels in sumps, nano tanks, or smaller all-in-one aquariums. Any protein skimmer works at its optimum when the water level does not fluctuate. 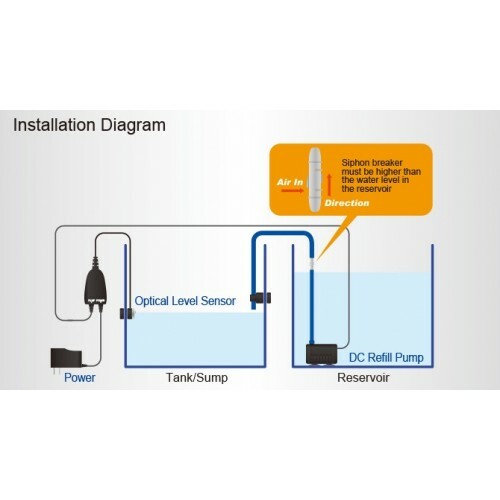 With the Smart ATO Micro by Auto Aqua, you will be assured that you are getting the most out of your skimmer-in fact, up to 40% better skimming. Automatic Top-Off System provides the perfect solution for smaller aquariums prone to water loss due to evaporation. 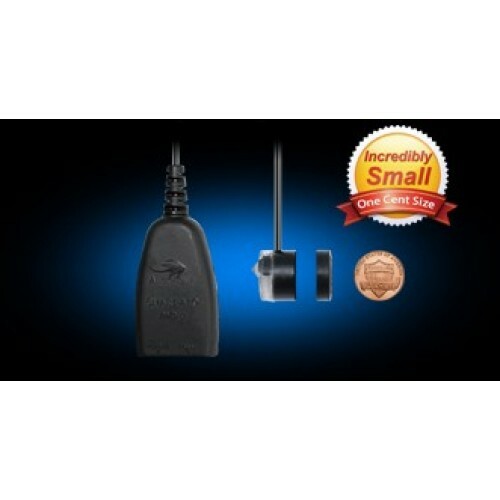 Miniature optical sensor detects lowered water levels and activates the refill pump to top off your aquarium automatically to the set desired level. 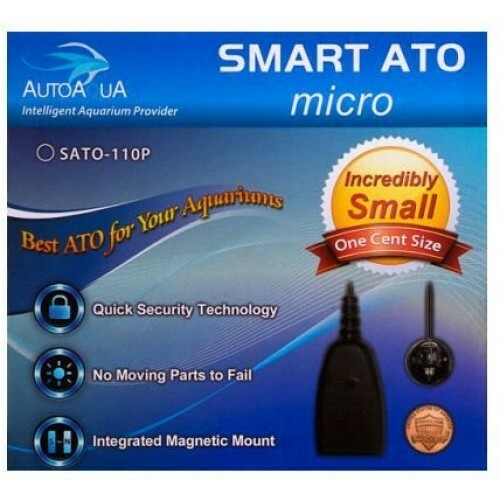 The Smart ATO Micro Automatic Top Off System works like much larger ATOs in that the auto top off system monitors and automates refilling evaporated water. The super- compact designed unit allows for easy and discrete installation and contains no moving parts that can fail. 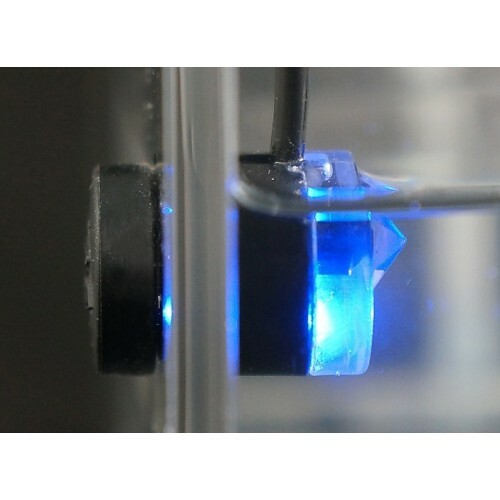 You simply move the optical sensor to adjust to the desired water level within your sump or tank. It's that easy! Integrated QST (Quick Security Technology) provides real time failsafe protection. Everything you need is included: Controller with Optical Sensor, Power Adapter, DC Brushless Pump, 6-1/2 ft length of Tubing, and a Magnetic Mount Tubing Holder. Comes Complete- with Magnetic Mounting, Pump, Sensor, Tubing and Tubing Holder. Works in complete darkness- No Moving Parts!